Shielding Resources Group, Inc. (SRG) is an innovative, reliable manufacturer of RF shielded enclosures and components. SRG offers high quality, competitively priced products, we also service RF/EMI enclosures for technical maintenance and problem resolution. SRG views our clients, employees and community as our top priority. SRG is a national and internationally recognized brand name in the RF shielding industry for Sensitive Compartmented Information Facility (SCIF) and Tempest rooms. Finally, a radio frequency shielded door that blends into its surroundings yet affords the RF shielding protection you require. Advancing the “state of the art” technology in RF contact mechanisms, the ULTRA-RF/A series doors provide the opening and closing forces associated with conventional entry doors. The standard cylindrical passage lockset supplied with the ULTRA-RF/A series doors complies with applicable Americans With Disabilities ACT (ADA) Requirements and presents the image of a conventional office lockset. 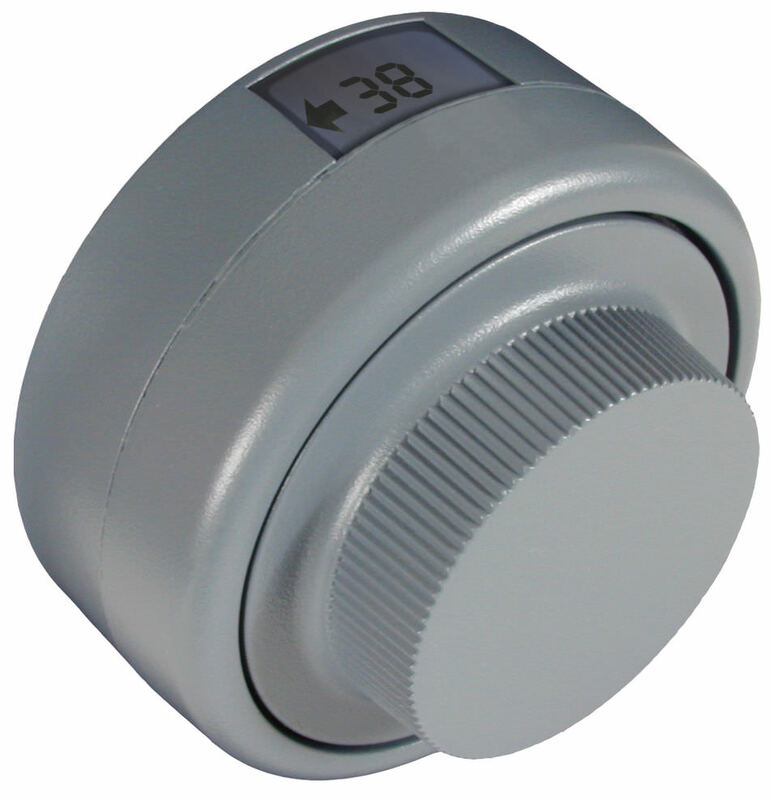 The passage lockset is ANSI A156.2 Grade 1 and UL Listed. In the open or closed position, the ULTRA-RF/A maintains the appearance of a door, not a bank vault look. standard two (2) year limited warranty. 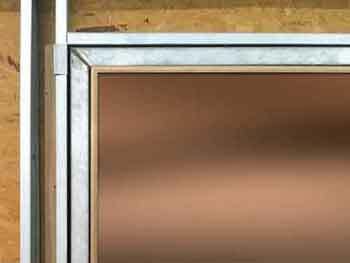 1.2 Door Frame: The door frame consists of a RF interface frame which the door jambs, sill and head are attached to. The jambs, head and sill are 12 gauge galvanized steel. The door leaf and door frame are furnished as a complete assembly and are available in a “ADA flush sill” or “raised sill” configuration. 1.3 Hardware: The ULTRA-RF/A is supplied with all hardware in a US26D finish and Clear Anodized (which is Satin Chrome). The hinge mechanism is a commercial grade, full surface, security hinge. 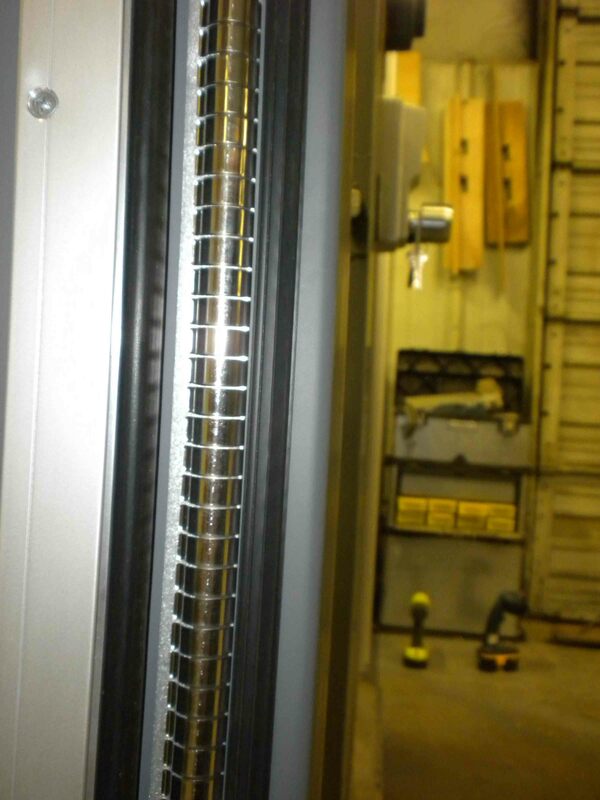 The hinge system is designed and installed so there is no contact between the RF seals and the hinge plates. The standard lockset provided is a “passage” extra heavy duty lever handle which meets the Accessibility Guidelines of the Americans With Disabilities ACT (ADA), the Uniform Federal Accessibility Standards and ANSI 156.2, Series 4000, Grade 1. 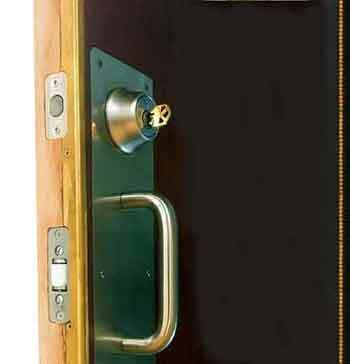 Entrance, classroom, storeroom, privacy locksets and push/pull plate assemblies are available on request. 1.4 Threshold: The ULTRA-RF/A is supplied with a steel or stainless steel threshold for both the flush sill and raised sill configuration. 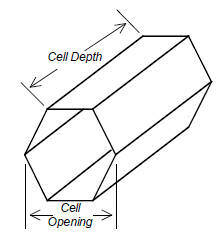 The threshold is electro-mechanically attached to the door frame assembly. The threshold is available in single or dual tapers (for new or existing construction). The sill has a maximum height of ½” (after installation of customer supplied flooring). 1.5 Standard Door Size: The ULTRA-RF/A is supplied as a single leaf 3’-0” X 7’-0” standard which provides a clear finished opening of 2’-11” X 6’-11”. The ULTRA-RF/A is available in other single or double door sizes on request. 1.6 Operating Force: The ULTRA-RF/A is designed to be opened or closed with less than 20 pounds of push or pull pressure. 1.7 RF Contacts: The ULTRA-RF/A is furnished with a single row of low pressure tin plated beryllium copper electrical contact strips. The contacts are installed on the door frame jambs and head section for a “flush” appearance. The contracts located at the bottom of the door are attached to a removable brass mounting angle. The contacts are designed and installed to be virtually maintenance free (since no lubrication of the door is required and they are protected by the door stops). Maintenance and or repairs can be performed at the user level. All repairs and maintenance can be accomplished with a Phillips head screwdriver, utility knife and scissors. The “ULTRA-RF/A” is also available in a high performance version which utilizes two (2) sets of electrical contacts. For further information on this high performance version or USER upgrade of an installed ULTRA-RF/A, contact us for details. The ULTRA-RF/A can be supplied with a STC 50 door leaf and STC-50 acoustic seal package (DTC-42 or NIC 50 rated), single or double cylinder deadbolts, door closers, magnetic switches, medium or high security combination locks (X-10, CDX-10 or other) or customer specified hardware. Customer specified hardware must be approved by SRG to insure RF performance. Shielding Resources Group, Inc. now offers 100% lead free honeycomb waveguide vent material. 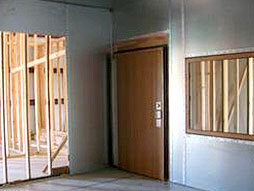 This material is provided to eliminate any and all concerns of lead contamination by airborn particles. This material exceeds all domestic and international requirements for lead free electronics and is environmentally friendly. SRG's unique and proprietary manufacturing process includes applying a thin coating of 100% tin to the raw base strip base material. The thickness of the coating is extremely critical and must be within .0015"-.002". 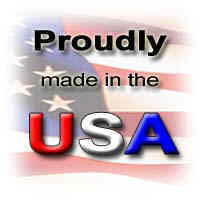 After the base strip material is formed, cut to the desired length and assembled as a sheet, it is placed in an oven. Under a controlled set of parameters the temperature is raised until the tin coating is allowed to flow via capillary action, a process we have named fusion bonding. Once cooled, the sheet becomes a bonded or fused honeycomb matrix offering structural and RF intergrity. The waveguide sheets are offered in 3 forms: standard cut sheets, custom cut sheet or mounted in frames. 3/16" x 3/4" 1/4" x 3/4"